Honda Racing’s newest recruit, Xavi Fores, has impressed thus far in pre-season testing ahead of the 2019 Bennetts British Superbike Championship but there are several circuit the series will visit that he’s not even seen let alone ridden, so his new team invited us to Cadwell Park as the Spaniard’s broke his ‘Mountain’ virginity. Ahead of his debut season in the Bennetts British Superbike Championship, Honda Racing's Xavi Fores visited Cadwell Park for the fist time and put a few laps in on a Fireblade SP to get a feel for the Lincolnshire circuit. And we went along to record it! 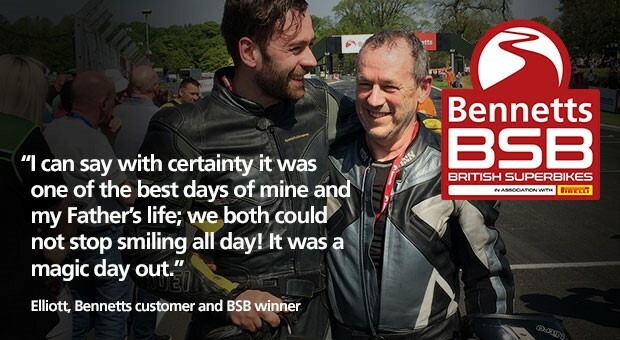 Xavi, welcome to Cadwell Park – one of the most iconic circuits on the British Superbike calendar – you must have heard all about it? Yes, thank you. It’s like a dream come true in the end. For us, the Spanish crowd, it’s like the most popular track in the UK because in the damp it’s quite different track from the others. So, I’m looking forward to jump on the bike and try to have a good experience on it. We’re here on a No Limits track day and you’re clearly dressed ready to go out and try the track. Have you ever been here before? Yes, it’s my first time ever here. I’ve never been here before but I’ve seen many videos, many races from last year including BSB in order to know the layout but what I’ve seen this morning when I arrived here it’s so different to seeing the track on videos. But the track looks good and even though it’s a little bit cold, for me to do this track day it’s important and I will try to enjoy as much as possible. You’ve done a couple of sessions here at Cadwell Park on the Fireblade SP – a completely standard road bike on road tyres – tell me about your first experience, how has it been? I was so excited about the laps I did today. I expected a little bit worse because everybody told me it’s a really, really hard track to learn. Of course I was on a road bike which is so smooth but I liked it lot – the layout of the track and the slow part of the track especially, it’s quite different to the tracks we usually ride. I’m so, so happy to do the laps and at least it’s better for me because when I go back home I can see the videos to see the lines knowing the track. I think, for me, it’ll be the hardest part to understand how to get the jump because with the road bike it’s a soft bike and you cannot push so hard. For the rest of the track I feel quite good trying different lines and different braking points but the jump will be a little bit hard to understand especially with our bike because it has so much horsepower and it’s stiffer. But anyway, it’ll be quite fun and quite interesting to come back here with our bike. How is turn one, it’s always my favourite corner? Turn one is the kind of corner that if you have a really good set-up you can go in so fast. I felt so good with the road bike but on my second lap the speed was so mutilated, I was so far off the track on the grass but anyway, it’s a fun track and better than I expected for sure, much better.